Barcelona is one city I wish I had stayed longer than I had. With only a short three day in the beautiful city, I feel I did not experience Barcelona to its full potential. In saying that it was well worth the trip and you can see a lot in a short period of time. I’m sure I am not alone when I say my favourite time to shop is when I am overseas. I don’t know what it is (even if the stores are the same as home), there is something special about exploring shops in a new city. Passeig de Gracia is perhaps the nicest street in Barcelona to shop on. It is a beautiful wide tree lined boulevard with lovely modernist architecture and some of Barcelona’s top hotels and restaurants. Antoni Gaudi was an architect from Catalonia, Spain, he belonged to the Art Nouveau movement and was famous for his unique and quirky designs. 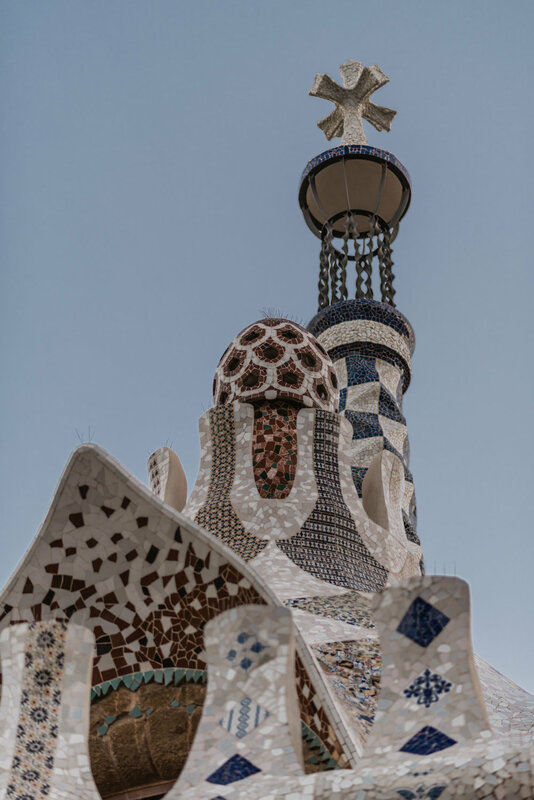 If you visit Barcelona you must see at least one of his works of art, I recommend booking all of the below online before going. 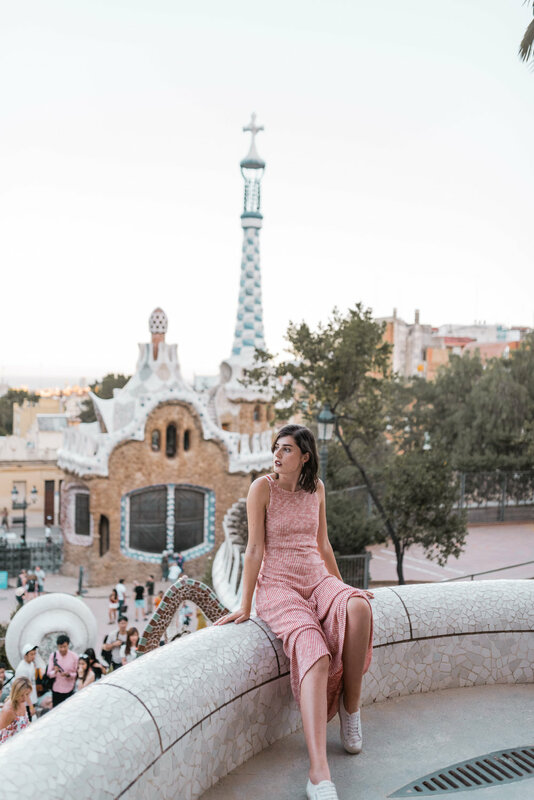 This is one of the most impressive parks in the world, it may not be the biggest or filled with the most beautiful flora and fauna but it is what famous architect Antonio Gaudi designed that makes it so significant. The entry is the centrepiece of the park - created to look like a majestic forest of fluted columns with it’s roof forming a vast terrace. Almost every building is covered in mosaic and there are hidden treasures everywhere you look. This is one of Gaudi’s buildings I did not go into but had the pleasure of admiring from the front. 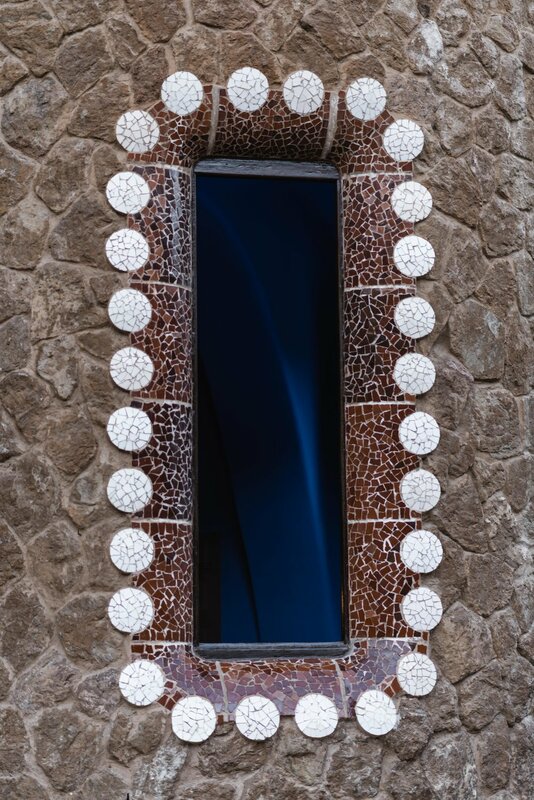 From the outside the façade of Casa Batlló looks like it has been made from skulls and bones. "Skulls" being the balconies and "bones" the supporting pillars. This building is originally stunning and is well worth the visit if you are there to simply appreciate from the front or explore the inside. 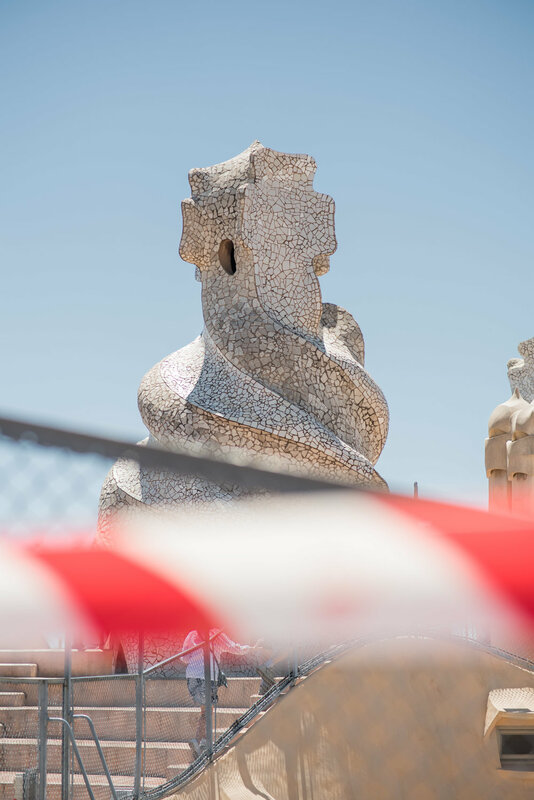 Casa Milà (or La Pedrera) is probably one of the most famous buildings of the Catalan Art Nouveau period and one of the architect Antoni Gaudí’s most ambitious works. This building is one you must explore inside and out (on the terrace). This one speaks for itself and if you haven’t heard of it then please Google it. The Picasso Museum houses one of the most extensive collections of Artworks by Picasso, 4,251 to be exact. The Museum is very rich in terms of work and the artists life, it holds an in-depth collection of his artworks right up to the Blue Period. If you are an art fanatic like I am (my love for him stems from my love for dachshunds) and an even bigger fan of Picasso then this is an absolute must when in Barcelona. Side by side sit an amusement park and a Roman Catholic Church on the top of Tibidabo, an unlikely pairing yet works so well. 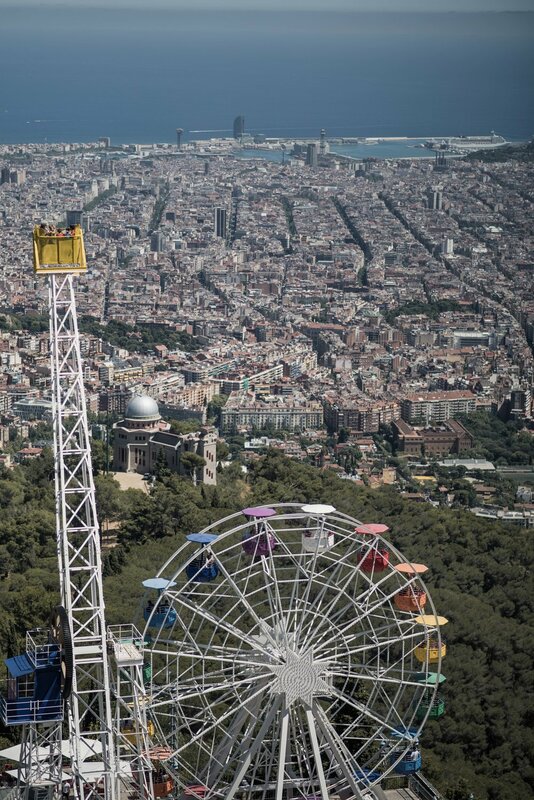 Visit the historic church first and climb right to the top where you will get the BEST view of Barcelona. Afterwards feel like a child again and have fun in the 1905 amusement park.